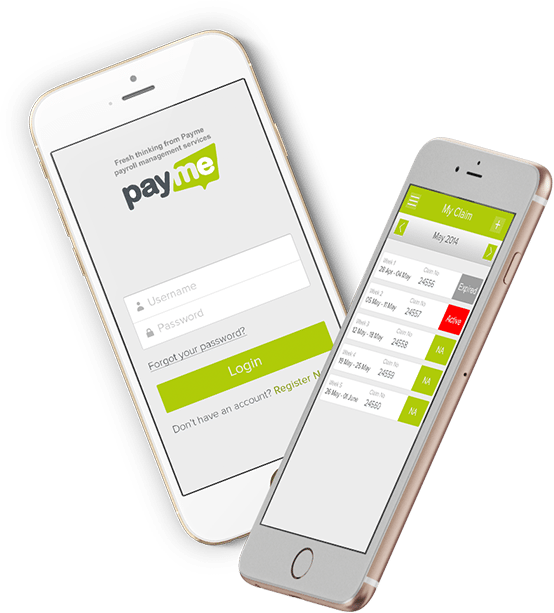 The PayMe App is an app specially designed to smartly and easily manage payrolls. Whether a contractor or an agency, it meets all the contract management needs by automating and streamlining the payroll processes. 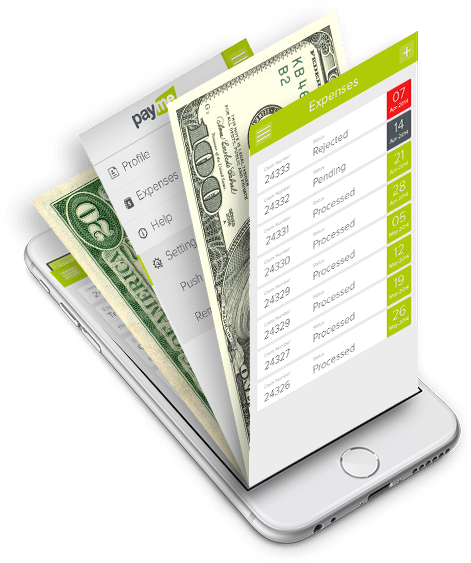 With PayMe – the whole payroll function becomes hassle free – from maintaining weekly expenses attaching receipts, to copying claims, maintaining records, and more. PayMe is a brand trusted for over 45 years in the UK for its extensive experience and expertise across the Recruitment Industry. Its 4 decades-long association with the Human Resource ecosystem enabled it to relate and understand the restraints and challenges of the payroll and contract management systems – both from the employers as well as contractors perspective. To overcome these problems, PayMe came up with the idea of creating a smart app for payroll management. To turn this idea into reality, they required technologically experienced and sound solution providers who could help build a robust app with all-encompassing features and functionality for the ease of payroll and expense claim from the contractor’s perspective, and payroll and expense settlement from the agency’s or the employer’s perspective. PayMe have been an extremely reliable and trusted brand. They wanted to give a tailor-made comprehensive technical and automation solution for payroll management in the form of an app along with maintaining their credibility and trust. Critical data, finance and tax management associated with the payroll system – maintaining and building everything under a secure solution was a challenge. Also, the logics and the app structure was different with different industry verticals – so everything had to be built independently. From permission based limited accesses, compliant taxation logics, real time syncs, calendar synced reminders, etc., there was a lot to be done on all the three mobile Operating Systems – Android, iOS, and Windows. Austin Digital went about understanding PayMe’s requirements. Our team of developers project coordinators not just closely associated with PayMe to prepare a roadmap but also performed deep research and analysis in order to build an App that was all-inclusive and solved more purposes than expected in payroll management processes. 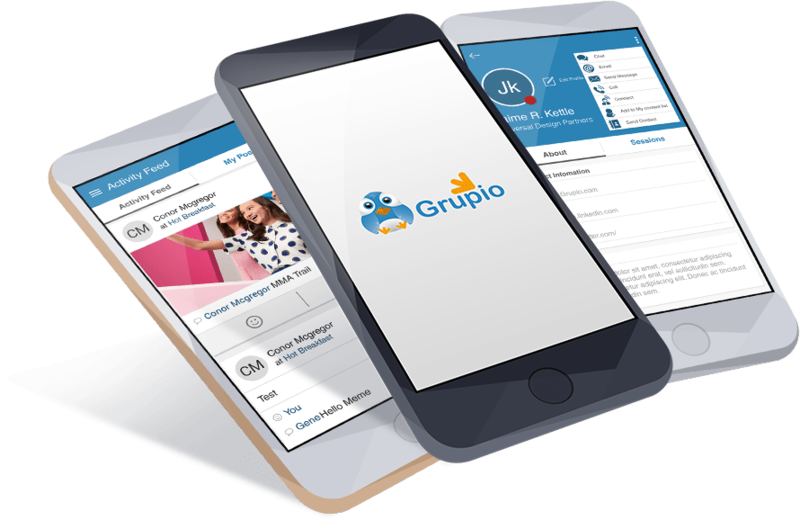 Grupio is an extraordinary App solution for mobilising Event Management and Outreach. It provides a one point hub for attendees, exhibitors, volunteer and organisers of Events, Tradeshows, Conferences and more. Since the desired solution needed quick, real time updates on the admin level, the amount of real-time data that had to be generated through all Grupio apps was huge. An app with uninterrupted performance, highly functional backend, interactive and user-friendly front-end, along with sustainability to heavy data loads was a challenge. Also, the variety of features including in-app chats, event updates, calendar synchronisations, rich media uploads, etc. had to work within various app platforms including BlackBerry, iPhone, iPad, iPod Touch and Android – all through a common database. 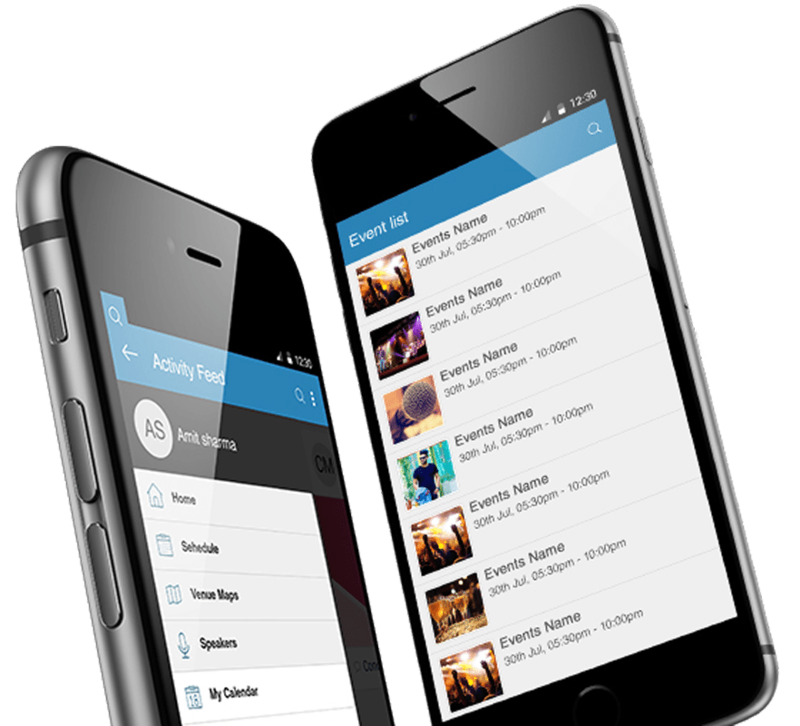 Austin Digital went about creating an all-encompassing solution for Grupio: A beautiful, high-performing and feature-rich Events App Portal. The highly interactive and user-friendly Grupio app displays various content modules consistently across multiple screens working on diverse mobile operating systems – all tested and quality check passed. The Grupio App made it easy for the attendees to access important event information they require during or after the particular event. The event owners, through Grupio could build seamless event apps with their branding, advertisements, surveys, messaging capabilities, alerts, analytics, schedules, gamification, sponsorship listings and a lot more. Grupio with their super interactive interface and easy to understand backend has been able to power more than 100 event apps across more than 50 locations across the world. 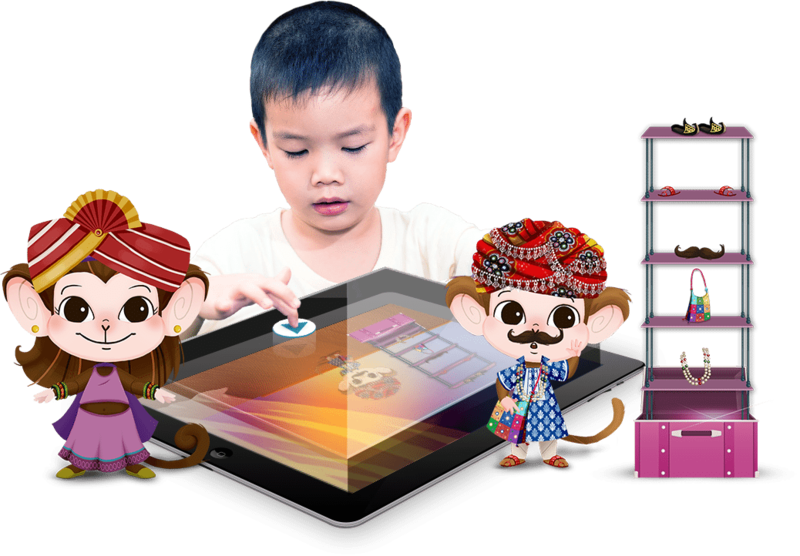 3 Curious Monkeys is an extremely interactive, cute and kids-friendly iPad app, specially created for engaging children. Children through this app can enjoy the various garbs, apparitions, accessories and cultural props of different Indian states. They can experiment dressing the monkeys and see how they look in different traditional looks. Keeping children safely engrossed is a herculean task these days. With so many things to distract and misguide children in the technology and app world, finding a trusted entertaining, as well as an educational app, is a challenge. Children learn faster with interactive details and information. An app like 3 Curious Monkeys was ideated to solve this particular purpose. Where children could not just be entertained but also be educated in a creative, easy and fun way. The client required a kids app that had animated characters, that was real & unique, and that would help connect children with their traditions and native dialects. 3 Curious Monkeys not just keeps children entertained and engrossed, but also helps them learn various famous language terminologies from all over India. The 3 cutely animated monkeys are fun for children when they make them dress up in different famous clothes and accessories from various areas of the country. Apart from entertaining children, which is a challenging task since always, the 3 Curious Monkeys app required minute and quality details which were time-consuming and treacherous. The animations of the monkeys, the detailed graphics of backgrounds, dresses and props, the voice overs, the soothing app colors suitable for children’s delicate eyes – there were many things to be taken care of. The app was also to be made according to the CPAA compliance norms covering all the intricate details to be kept in mind while creating a children’s rated app. High on visual appeal with plenty of interactivity enhancing your cognitive and thinking skills. Authenticated, rightly pronounced local dialects like “Bou Saras” in Gujarati, “Vadiya ji Vadiya” in Punjabi, etc. From Marathi Nath, Punjabi Pagadi, Kanjeevaram Lehenga to Bandhani Kurta, from funny mustache, Bindis and Jhumkas to cute voices and actions, the app was comprehensive enough to make the children happy. As a feedback of parents, they were happy with the app as it made the children learn new vocabulary and accents along with learning about diverse traditions and culture of their country.Children enjoy playing and engaging on 3 Curious Monkeys with cute characters, dainty props and funny voices.